This is a guest post by Judy Bradt, CEO of Summit Insight LLC. By the time federal small business contractors start to have some success, they’ve gained a certain amount of self-awareness. Which is to say, they often know what’s wrong, they just don’t know how to fix it. That is the most common woe I’ve heard recently, from executives in industries that span professional engineering to facilities management. My response? Yes, you do! What are the squirrels they are talking about? Why, opportunities, of course. And, boy, if there’s one thing the federal government has no shortage of, it’s opportunities. OSDBU event! Veteran Business Owners Conference! Sources Sought! Vendor Outreach Session! HUBZone Day! Industry Day! Site Walk-through! Draft RFP! PTAC Briefing! SBA Matchmaker! Prime Vendor Meet-and-Greet! And there’s this guy you should meet, maybe they need a teaming partner like you. And, whoa, did I see an RFP deadline sail past? Where did that go? On any given day, there may be no fewer than a dozen brand new top priorities landing in your inbox or delivered face to face. Of course this is on top of the priorities that came along the day before. And they’re all opportunities. Every one of them. For someone. How can you tell which opportunities are really for you, without missing out? First, relax. It’s time to accept a couple of simple truths. Whether or not you run after everything, you’re probably going to miss some things. The good news is that very few of these things are a once-in-a-lifetime federal contract opportunity that is gone forever. The better news is that if the opportunity is truly a good fit for you, you’ll have plenty of notice; the buyer who knows you, likes you, and really wants to see your offer when she’s ready to buy has also let you know what to watch for and when. Next, you’ll get the most value from any federal outreach event when you’ve had time to research the host agency or prime contractor, find out what they buy, and given some thought to what problem your company’s products or services might solve for them. If you haven’t had time to do your homework before attending one of those events, and are just so hungry for business that all you have time for is to cruise through and do some brute force networking, you’re not just wasting your time once. You’ll waste it twice: first by attending the event in the first place, and, second, by following up with dozens or even hundreds of people who aren’t any kind of prospect for you at all. 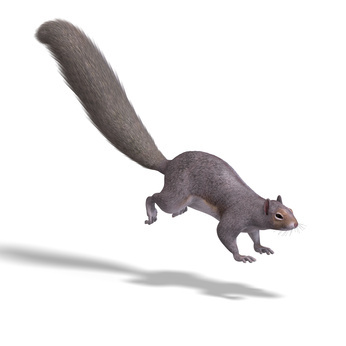 There is an easy antidote to a squirrel infestation. It’s called focus. Do you know which three federal agencies represent your best prospects? Write those down. Then, when anything outside of those three agencies crosses your path, set it aside for a time when you can think clearly about how or why straying from your focus is justified. Next, think about lead time and relationships. Just because you feel desperate for business and cash flow does not mean that the right answer is to go crazy writing proposals until something sticks. Exactly the opposite is true. If you’re feeling a cash flow crunch, then carefully marshaling your resources, including staff time that goes into bid and proposal, is absolutely critical for survival. If the first time you find out about an opportunity is on an electronic noticeboard, it’s almost certainly too late. Paradoxically, these are some of the juiciest, biggest distractions. 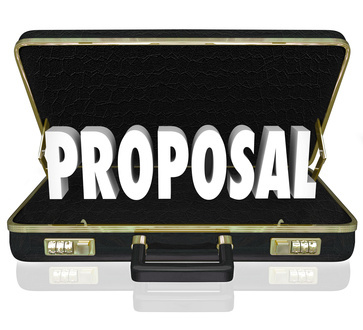 “We could throw in a proposal and maybe we’ll win,” is one of the biggest distractions of all. How well do I know this customer and this agency? If you are fitting into an agency where you don’t know the people, and they have never heard of you, your proposal looks to them like a great big ball of risk. Risk, in case you weren’t clear about that, is a bad thing, and certainly a disincentive to favorable consideration of your offer. In short, pay attention to the “squirrel” instinct, but not perhaps for the reason you have been. Instead of thinking about that distraction as a reason to run off in a new direction, think of it as a warning sign to slow down, stop, and figure out why you are thinking that way, and what kind of response is best aligned with your focus and your goals. This post originally appeared at http://www.summitinsight.com/blogs/got-squirrel-brain-get-fast-cure-federal-business-frenzy and was adapted and reprinted with permission. Judy Bradt is the CEO of Summit Insight LLC and author of Government Contracts Made Easier. For 25 years, Judy has worked with her clients on business strategies to win government contracts. Judy blogs at http://www.summitinsight.com/blog. We’ve discussed financing issues on this blog before, such as SBA loans, bonded contracts, and other alternative financing options for government contractors. Let’s talk more about some different banking relationships to be sure and understand how to choose between them. First, there are various forms of what could be considered purchase order financing or invoice financing. At one end of the spectrum of invoice financing is what is traditionally known as factoring. This is where you sell your invoices directly, presumably for a greater or lesser percentage. You don’t do any collection or wait for the funds, you simply sell the invoices. You don’t have to sell every invoice. The advantage here is that if you don’t need the funds, you can wait and collect when the customer pays. On the other hand, if you’re looking for funds and have a whole different set of circumstances, you can sell or finance a bunch of invoices and move on. The disadvantage of invoice financing is that it’s traditionally more expensive than other forms of credit, such as a line of credit. While lines of credit are much less expensive, the disadvantage is that they often come with substantial “covenants” – agreement terms you’re supposed to meet. For example, a line of credit agreement may require you to make a profit every quarter. It doesn’t sound very onerous, but traditionally a lot of business expenses are front-loaded in the first quarter (e.g., annual bonuses or health care costs), and therefore it might become onerous. 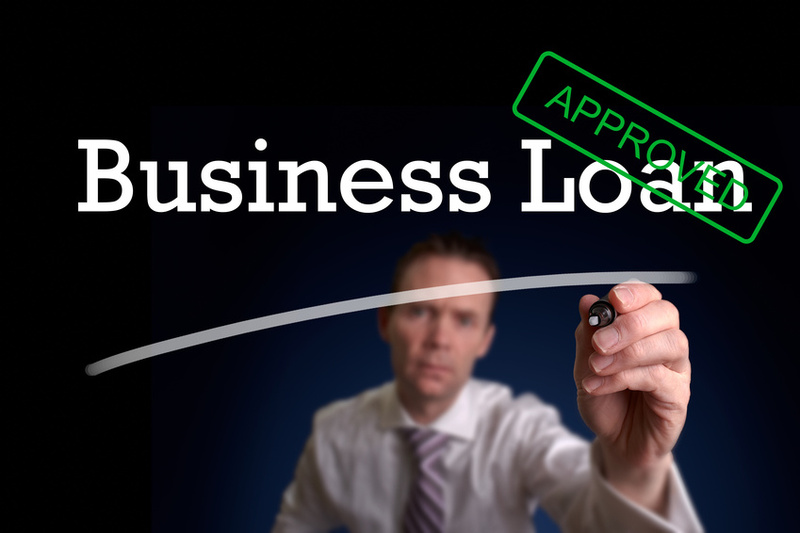 There may be additional requirements that strongly affect how you conduct your business, for example a restriction that you can’t take a draw on the line of credit without the bank’s approval. It’s important to understand all of the parameters, pluses and minuses of the banking relationship you’re choosing. Of course the best quadrant to be in is where you’ve made enough money so that you can self-finance everything. But most of us are not in that quadrant. Like anything else in business, successful financing comes down to relationships. Remember, though, your relationship here might not be with your regular banker, but rather with your bank’s credit department. Since your OSDBU reviews all opportunities (trying to make sure things get set aside for small business whenever truly feasible), they can help you identify the proper NAICS code associated with each RFP and the size standard that goes with it. That is key, because if there’s a contract coming up for competition in a size standard you’re too big for, then having it set aside for small business in that NAICS code does you no good. Many professional and even administrative services opportunities are run under larger NAICS codes, but if the statement of work is defined as mainly IT work, a sub-set of admin services, that can fit under a smaller size standard that you may qualify for. By meeting with your OSDBU staff – especially the one for your designated set-aside type, if more than just a “small” business, you can better understand how both the contracting officer and the customer are seeing and classifying the preponderance of the work. Both parties have decision making authority, but the OSDBU small business person can influence that decision. Ultimately you want the set aside to be in a NAICS code and size standard where you can do the work. 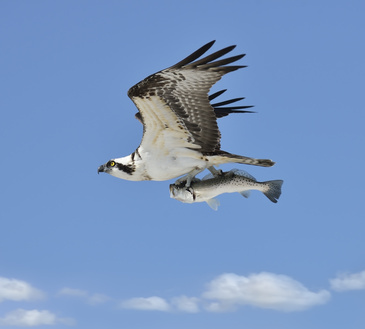 Posted: September 17, 2014 | Author: Guest Author | Filed under: Finding Customers, Getting Started | Comments Off on In Federal Sales, Are You A Hunter or a Vulture? A federal sales hunter scans the landscape daily with his own eyes and locates where the most potential for healthy-sized opportunities appear. The hunter has been trained by other hunters to seize the moment when an opportunity arises. The hunter approaches the client on a regular basis, and, when the ideal opportunity presents itself, the hunter “captures it” with a closing mechanism like a GSA Schedule, small business preference, or partner. No one ever heard about the opportunity coming, and never found out when the deal was closed and delivered. We can only see it after-the-fact in the contract data – exactly how the hunter quickly captured the deal. A federal sales vulture sits on the sidelines and waits for a lucky opportunity to come out on the public websites like fedbizops.gov. But, by the time the opportunity “dies,” there’s nothing left in profits but a few scraps – and a lot of other angry vultures still fighting with you for the leftovers. Look, we all have a little “hunter” and a little “vulture” in us. Know the function absolutely cold, with good past performance. Make sure the labor hours are specified. If they want you to guess or figure it out, you’re not going to win. Price that baby low, low, low. Profitable, but low. Many years ago, I asked a big company, one respected for really doing good capture work, how they treated year end. They were candid, and said they like 2/3 of the work to be captured, but 1/3 will be over the transom, with good past performance, nearest customer neighbor, low price. They won a lot of them (well, great proposal shops can write to anything), and it fueled growth. 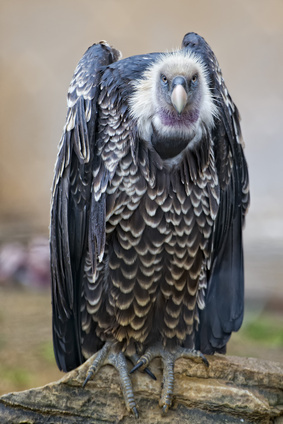 Our hunter side has found out from the client that the deal is “coming out soon” and then we want to sit tight like the vulture…… waiting …. waiting…waiting for it to be posted. But it is advised that while you’re waiting for the postings at fedbizops.gov and end-of-year spending, that you still could be a hunter by continuing to scan the landscape and talk to all of your clients about opportunities now – and in the future. If the opportunity has not hit the streets yet, you may still be able to do something to get them to make it a set-aside or to use a contract vehicle with little competition. And in the coming year, you want to change your tactics to be more like a hunter all the time….or hire a hunter to comb the landscape, get to your customers in the field, and close the deals quickly and quietly. For more information about having a federal sales action plan built for you so you can focus on the “hunt,” contact Eileen Kent at 312-636-5381 or visit http://federalsalessherpa.com/. This post originally appeared at https://www.linkedin.com/pulse/article/20140812023632-5572608-in-federal-sales-are-you-a-hunter-or-a-vulture and was adapted and reprinted with permission. Want Free Business Development? Get Involved! Posted: August 27, 2014 | Author: Bill Jaffe | Filed under: Finding Customers, Getting Started | Comments Off on Want Free Business Development? Get Involved! When TAPE was first founded, my wife (CEO/President Louisa Jaffe) and I were sitting around with not much to do because we were just getting started. So we volunteered with the local chapter of AFCEA (Armed Forces Communications and Electronics Association) to lead their small business program. We were a small business ourselves, so this made logical sense. Now it did take a little time, to find speakers for the various small business programs, and coordinate to make sure everything went well. But in return, we got incredible business development opportunities. First of all, we were able to reach out to actual potential customers, and other folks in the local government community, to invite them as speakers. These were no cold calls, but we were still making valuable connections! Second of all, we always got two free passes to attend the events. That meant one of us could be in the small business program, while the other could be with the “big boys” in the other room – a free networking opportunity. 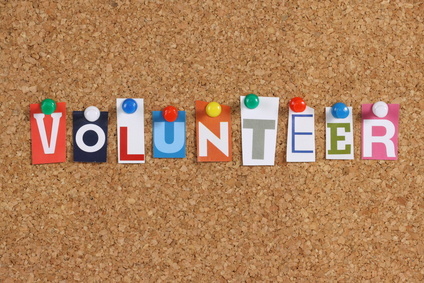 More than 10 years later, and hardly with much spare time to sit around, we’re still getting involved and we’re still making important connections through those efforts. Louisa, for example, is on the board of the Army Women’s Foundation where she meets all sorts of retired army women now working in the contracting industry. Down here in Orlando where I’m working with a company we acquired last year, I have been volunteering for a source selection improvement group – an industry/government partner group looking at problems in the source selection process. This has given me the chance to meet a bunch of people I would have never met otherwise – contracting officers and other companies doing business in the same realm as our Orlando division – and work together to solve problems that affect us all. These are two very good things, and all it costs is some time. There is business to be found through building relationships. 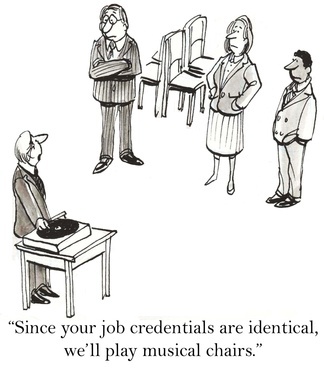 When you’re recruiting to fill a position as part of an RFP, compliance is a hugely important issue. The candidate must meet the government’s specific criteria for experience, technical skills and certifications to a T.
It’s absurd, but these things happen. There is no such thing as close enough. You have to remember that the government is not going to interpret, they’re going to measure you against the exact requirement that’s down on paper. 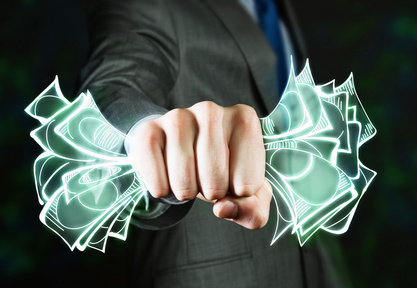 After compliance, it’s time to think about profitability. When you’re hiring for an RFP, you’re not just filling a job within your organization, you’re filling a job that will be billable to your customer. You have to understand what the billing rate translates to in terms of your bottom line, so you determine an appropriate salary. During the bidding process, you have to first figure out whether you’re in a cost-sensitive environment or not. I wrote about how to compete on price with your salaries in an LPTA environment in a previous post. You should also consult salary surveys for that particular discipline, to compare other salaries and contract terms. Pay attention also to what your current employees are making, so you don’t anger them and poison your work culture by hiring a bunch of new people at a higher rate. These days hardly anyone is using the newspaper to find a job. You have to be in the places job seekers are looking, namely LinkedIn and other social media, and online job boards like Monster.com. For very specialized requirements, you may want to do an insert in a technical association newsletter or an industry magazine. What are your best recruiting tips for government contracting? Share them as a comment below, or on my LinkedIn post. First of all, does the request for proposal indicate that you need secret knowledge to win? For example, do they want a bunch of resumes, many of them for key positions, or do they just give general staffing requirements? Are they looking to see past performance that’s specific to their work, or can you show work you’ve done elsewhere that may have the same size, complexity and scope? Finally, how big is the proposal to write, in particular, the technical and management responses? A smaller proposal has less evaluation or subjectivity in play, and less favors the incumbent. If there are few or no resumes required, if generally applicable past performance is permitted, and if response time is at least two weeks, these are signs you may want to go ahead and consider a bid. Conversely, run in the opposite direction if a response is required in three days or less. That bid is wired for somebody else. Maybe not the incumbent, but someone. If that somebody is you, by all means get your proposal in, but if it’s not, there’s no reason to waste your time. When you’re competing on price, it’s no longer business as usual. You’ve got to understand what is your wrap rate, and what is the wrap rate of your most likely competitors. The wrap rate is what you add on top of the salaries or hourly rate of the people in your bid. You’ll add a percentage for fringe, a percentage for overhead – costs directly related to the accomplishment of a job, but which are not billable – and then “G&A” (general and administrative). Plus, profit, of course. For example, if an employee is sitting at your office but their time is billable to your customer, then you would add that portion of rent, their use of computer, etc. because these things are directly related to project rather than for general work in your company. You would also add a portion for what is called G&A, or general & administrative. This includes costs like your HR department, accounting people, leadership time that is not billable to the customer, and marketing staff. On top of those amounts, you put a profit. There are formulas you can use to determine your wrap rate, but typically they’re anywhere from 1.5 to 2.5 (expressed in terms of 1.5 (up to 2.5) times the base hourly salary rate). So for someone who’s salary is $100,000, you would charge $150,000 or $250,000 to the government agency. The bottom line is that if you’re competing on price, you’d better get your wrap rate down. That might mean shaving benefits, but that hurts hiring. The easiest places to cut are your G&A by operating leaner and less fixed charges, and of course, profit. Sadly. Also, don’t hesitate to reduce escalation (a clause that protects you against higher material prices) in short-term contracts; it’s an area where competition might not think about reductions. Being selected for a bid in a year-end cycle can bring you great revenue. Even if you haven’t done the capture work, use the criteria I’ve outlined above and when appropriate, you can take a chance without the advance work usually required! This is a guest post by Kevin Jans of Skyway Acquisition Solutions. Fishing with a cast net here in Florida is fun. In the right place, at the right time of day (and tide), the net is full of surprises: bait fish, a crab or two, a stingray, or even a mullet. However, cast-netting is a futile and costly way to gain sales – especially as a small business in the Federal market. At best, you’ll stumble upon a few opportunities. 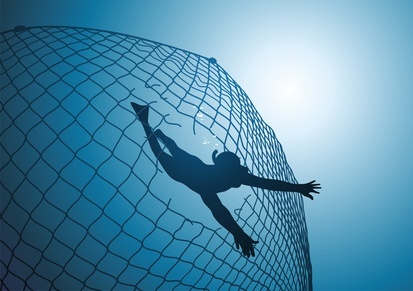 At worst, you’ll catch a net full of unqualified leads. Most likely, you’ll end up somewhere in between: spending a lot of time sifting through RFPs hoping to find one that fits your company. Targeting opportunities is just as important in the federal market as it is in the commercial market. History shows time and time again that a focused strategy wins. In the government market, it can be easy to feel like you are drowning in opportunity. Targeting your efforts is one of the best ways to offset this. Do you know, really know, what you are fishing for? Why do you target specific agencies? Why are you investing your time on specific RFPs and RFIs? 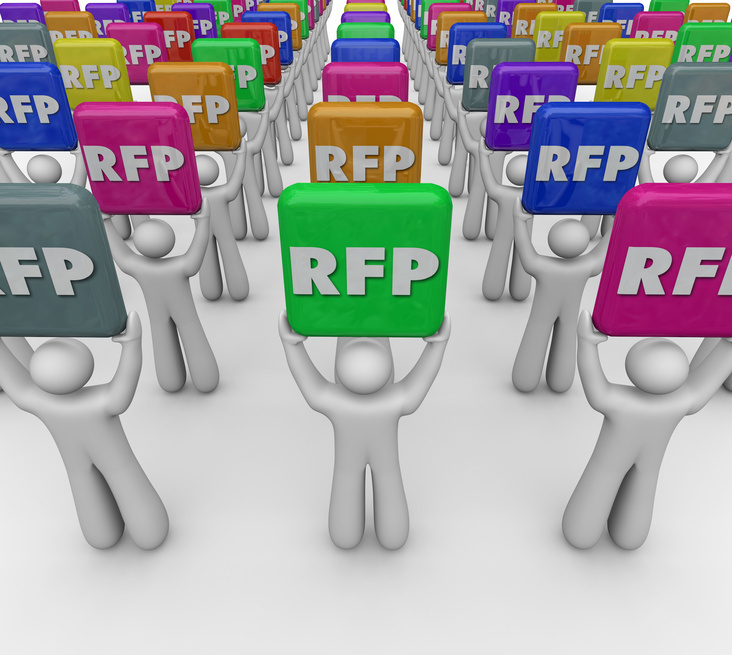 This is not about bid/no bid – this is about deciding whether you should be looking at an agency’s RFPs at all. Or, whether you should be in the Federal market at all. What is your plan? 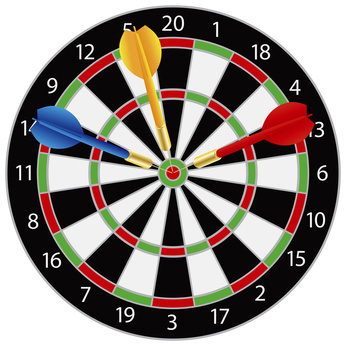 What is your target? What are you trying to catch? Are you filtering opportunities by NAICS, size of opportunity, and socio-economic set-asides? So is everyone else. What if you fine tuned your search beyond the agency? To a division? To a contracting office? To a specific customer who buys a lot of what you sell? What if you knew that the buyer you targeted actually needed your help and would be excited to know about your company? What if you targeted your efforts to the point that the government customers are calling you to make sure you bid on their RFP? That’s what real targeting looks like. Save your company time: do not fish with a net. This post originally appeared on the Skyway Acquisition Solutions blog at http://skywayacquisition.com/targeting-government-rfps-fish-net/, and was reprinted with permission. Kevin Jans founded Skyway after 16 years as a Department of Defense Contracting Officer (CO). As a CO, he saw many companies struggling in the B2G market. He created Skyway to give these small to mid-size companies access to a leadership team of former contracting officers and to show them how to compete and WIN in the increasingly complex market. Learn more at http://skywayacquisition.com/.